‘Epicentre’, the23rd album from Lars Eric Mattsson’s career plays out something like a call to arms of all the styles he’s explored over his long career. 18 new tracks is a lot to digest but Lars’ had made the task a little easier thanks to streamlining his compositions over previous epic length excursions. Another notable change is Mattsson handling all lead vocals himself, his vocal style whilst not amongst the best you will hear is acceptable enough and it does help stamp more personality to the album than having a hired gun. Musically we have a gamut of styles, from the progressive metal attack of opener “Wait For The Sunrise”, “Freedom Fighters” , a modern take on blues metal with “A New Devil” (home to a great main riff) and “No Way No Surrender”, almost 60’s psychedelia meets metal for “Land Of Dreams”, “No One Else” has a Queen like pomp to its rock attack and also harks back in some ways to Lars’ more standard rock past, there is also a strong Hendrix-ian influence to many of the tracks to these ears. Personal favourites are the dark haunting and marauding qualities of “Cinnamon”, a tale of lost love this amalgamation of sitar, dobro guitar and bass in a 5/4 time signature is very different but also rather brilliant. Lars’ vocals also work well here, and the instrumental “Andalucia” which is home to some great melodies. 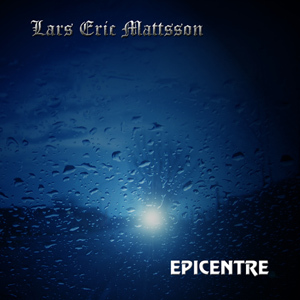 Overall “Epicentre” is a good album from Lars Eric Mattsson. Not his best of recent years (Mattsson – Tango get’s that award) but if you like the Mattsson style which really is unlike anything else out there then this is sure to represent value for money. This entry was posted in Reviews and tagged epicentre, Lars Eric Mattsson, Lion Music, review. Bookmark the permalink. 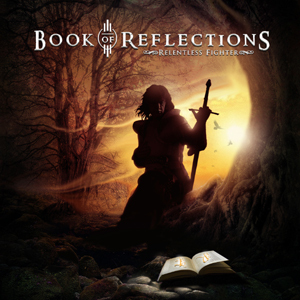 Third strike from Book of Reflections, the on/off project of the ever busy guitarist Lars Eric Mattsson. Relentless Fighter sees Mattsson joined by vocalists Carsten Schulz (Evidence One) and Markku Kuikka (Status Minor), both strong voices and a nice foil to Mattsson’s technical guitar style. With a more straightforward sound than heard before under the BOR banner, the album is more on a par with the self titled debut offering in some much as its more about neo-classical tinted metal and less prog and weird stuff as heard on the second album. Delving deeper there’s some strong tracks here like ‘Angel Shed A Tear’, ‘Bleeding Dry’, ‘Rise Up’ all kicked off in fine form by opener ‘Until The Day’ which blazes along in a glorious fashion not too dissimilar to Europe’s ‘Scream Of Anger’. Relentless Fighter is certainly the most accessible of recent new releases by Mattsson, yet also perhaps his most pissed off for there is an angry slant to many of the rhythm’s and solos where you can almost see the steam coming off the fretboard, nice indeed. Downsides? The mix isn’t the strongest with vocals sometimes getting a little lost in the mix and the drums do sound overly digital too (toms and crash/splash cymbals), but fortunately it doesn’t detract too much from the music on offer. That said it would be great to hear Mattsson team up someone like Mike Terrana and get a more savvy mix. Overall though it’s a strong third effort from Book Of Reflections if not entirely stylistically inline with what’s been before. That said this ranks as my favourite of the three so far. Great artwork by Carl-Andre Beckston once again as well. This entry was posted in Reviews and tagged Book Of Reflections, Carsten Lizard Schulz, Lars Eric Mattsson, Lion Music, Markku Kuikka, Relentless Fighter, review. Bookmark the permalink. 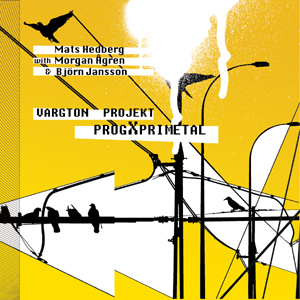 Vargton Projekt are an amalgamation of some of Sweden’s finest musical talent in guitarist Mats Hedberg, drummer Morgan Agren (Frank Zappa)and vocalist Bjorn Jansson (Ride The Sky / Tears Of Anger). The debut album ‘ProgXpriMetal’ is an eclectic collection of material that was originally based around instrumental only origins, yet the thought to have Jansson’s distinctive vocals came as an afterthought. As the vocal tracks don’t follow a normal set song structure, but serve up something free of restraint, and more about musical expression, something the album is brimming with. Pretty much on every track there is something to absorb on repeated spins, and this isn’t a track that will win over the casual listener right away. But, there is an element of discovery that is often more rewarding with each passing listen and fans of progressive music from across the genres many styles will find much to enjoy. Highlights to these ears come in ‘Jaipur’, the 3 part ‘Birka Trilogy’ (with part 3 seeing a fast fret melting solo battle between Hedberg and lion label head Lars Eric Mattsson) and the slower tempo ‘Lvorna’ which it shades of fusion and classical prog sound. Amongst the trio of musicians there are numerous other musicians that make the whole package an earthly experience, yet it’s the core performances of Hedberg and Agren that deserve the plaudits for their work is quite phenomenal. If you want an album to see you entertained through the coming dark Autumn and Winter months ‘ProgXpriMetal’ may just be the ticket. Unique and gifted sums up this release – don’t let the rather bland album cover put you off. This entry was posted in Reviews and tagged bjorn jansson, experimental, Frank Zappa, Lars Eric Mattsson, Lion Music, mats hedberg, morgan agren, prog, Progressive rock, ProgXpriMetal, Sweden, Vargton Projekt. Bookmark the permalink. 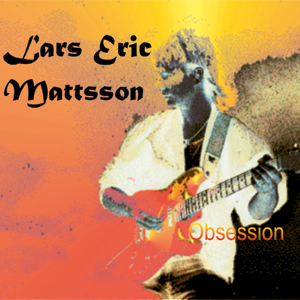 Swedish guitarist Lars Eric Mattsson has over the course of 3 decades in the music industry carved out his own niche of progressive fused neo-classically tinted metal. Now under his own name Lars returns to the instrumental genre for what is arguably his biggest undertaking to date. 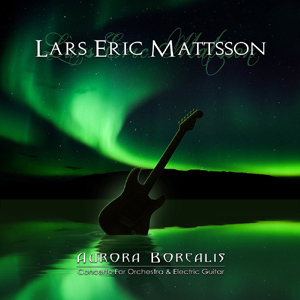 “Aurora Borealis” is a 12 movement ‘concerto for electric guitar and orchestra’ which sees a classical approach infused with rock idioms. For whilst this is a ‘scored’ orchestral release we have quite traditional rock drumming and bass playing. As a result this is quite an accessible release and actually less challenging on the listener than some of Mattsson’s more “expected” instrumental offerings such as “Earthbound” and vocal releases like ‘War’. Whilst the narrative of the release is without doubt complex, the overall sonic presentation is relatively easy on the ear and makes for an enjoyable journey from start to finish. There are moments of light and shade (as you would expect) but also a deft use of melody and counter melody. Mattsson’s guitar work is also amongst the most unique in the rock and metal field. Never one to play the expected Lars challenges us the listener with unorthodox phrases and note rests. His fluidity when playing extended quick picked lines suggests “pick monster” yet the light touch produces a bounce to the notes. That said one element that the like of Uli Jon Roth seem to favour heavily in their works of this nature are heavily inflected bent notes and a variety of vibratos on sustained notes. These are not always in Mattsson’s ‘book of licks’ and on one hand do lend Mattsson a distinct sound but on the other do leave some licks feeling a little sterile. That said for the most part the guitar work serves to compliment the orchestration and is very good indeed. Highlights come in the guise of the uplifting “Bounce” with its dancing melody, the dark haunting vibe of “Cold Water Spirit”, the more neo-classical rock tinted “Eternal Cycles” and the most progressive “Planetary Strength”. Performed almost in its entirety by Mattsson himself “Aurora Borealis” can be considered one of the most complex of Mattsson’s career but also one of the most enjoyable. This along with last years “Tango” sees Lars Eric Mattsson in the form of his career. This entry was posted in Reviews and tagged Aurora Borealis, Lars Eric Mattsson, Lion Music, review. Bookmark the permalink.